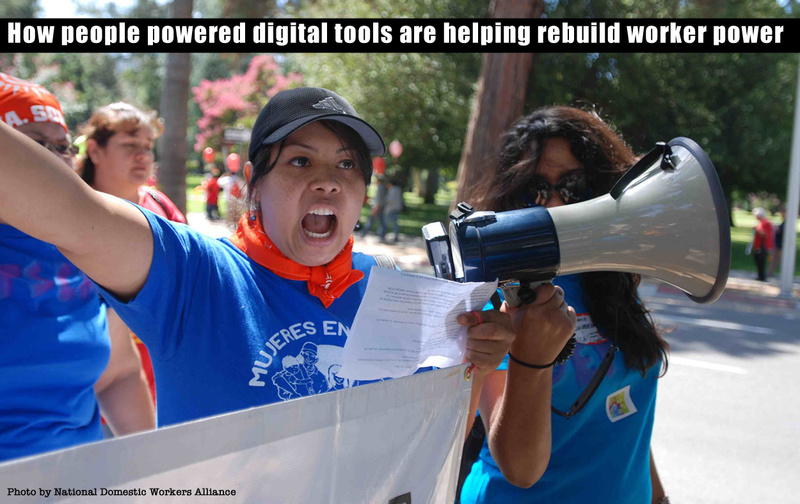 Organisers are using digital platforms and intense campaigning to rebuild worker power around the globe. Here's what we can learn from these projects. Workplace fragmentation and the changing role of unions in the United States means far fewer workers are as directly exposed to political organizing as they were just one or two generations ago. 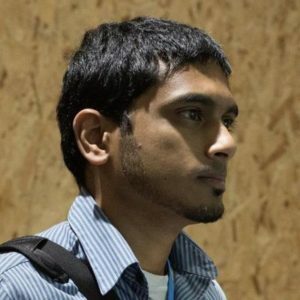 It’s a situation seen in many parts of the world but workplace-focused digital advocacy and communication tools are enabling new forms of decentralized people powered campaigns. New platforms and projects like CoWorker.org, Hack the Union, Blind and others are helping dispersed workers build networks, run campaigns and more effectively (and securely) grow their power to influence economic justice issues. At its core, CoWorker.org, which lets workers create petitions for change in their workplaces, is an online petition platform. The team at CoWorker.org is seeking to build workplace power in addition to changing laws or rules. The platform takes some of the best elements of user-generated petition sites like Avaaz, 38 Degrees or Change.org—including highly personal calls to action, storytelling and staff curation—and adds a focus on turning online activism into consistent, self-sustaining political power. (For more on how user generated petitions can be a pathway to campaign growth, see Grassroots-led Campaigns, a Mobilisation Lab report on user-based petition campaigns). 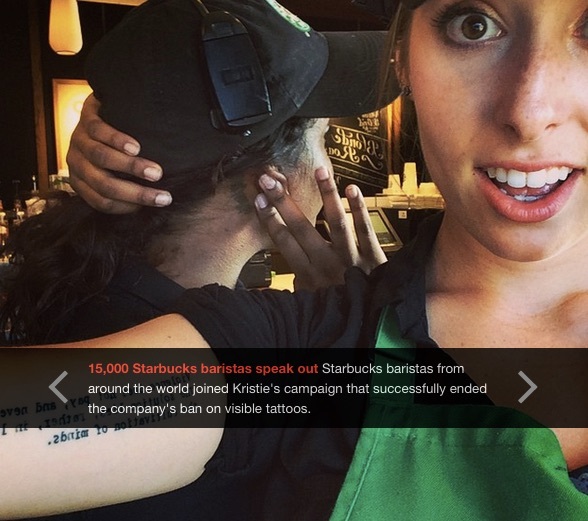 A 2014 campaign started by a Starbucks employee on CoWorker.org successfully advocated that employees could work with uncovered tattoos. “Most people know what a petition is…it’s a great way to really bring a large group of people into workplace organizing,” said Jessica Kutch, a co-founder of CoWorker.org. “Our goal is behavior change – that people are actually thinking about their jobs and power in the workplace different, they have a right to speak out in their workplace,” said Kutch. CoWorker.org measures that by looking at whether more people within a particular workplace are creating more petitions, and if that number is growing every month. The staff of three focuses on supporting petitions starters and cultivating more petitions within each workplace. The key, they believe, is continual user engagement innovation and testing. “Our approach is rooted in experimentation and listening to workers themselves,” said Kutch. CoWorker.org’s approach fits in well with one of the strengths of online petitions: they are not geographically constrained. Whereas an in-person petition (and face-to-face organising) is limited to those who come into contact with a clipboard-barring organiser, a web petition requires little more than internet access. It’s well known that today’s digital communications platforms—think WhatsApp, Snapchat, and social networks like Facebook and Twitter—can greatly extend network reach. But being able to broadcast a message to people is different than moving them to action or behavior change. People want to communicate. Blind finds users spending up to 20 minutes a day on its app in certain workplaces, while a CoWorker.org reports high engagement with workplace surveys. Allowing people to share information in meaningful ways can in itself be a motivator. Anonymity is important. Blind’s focus on security and anonymity, to the point where they cannot gather any information about users, creates space for users to share information they would not otherwise. Be constantly testing and evolving. When CoWorker.org tested curated social content to members of a specific workplace, with several links, they found that these emails had engagement levels as high as traditional, single-link campaign alerts. Moreover, each curated content email led to new campaigns being created by members. Build within communities. CoWorker.org has a relatively small in-house list but they have develped power within certain employee networks. Ten networks include over one thousand employees. Part of this is due to their focus on content curation within networks. Similarly, Blind has reached 95% penetration in companies in Korea, and has seen rapid growth in workplaces in the U.S. by focusing on specific companies and industries rather than geographic regions. For Kati Sipp at Hack the Union, a project that seeks to increase the use of technology in labor organizing, relational (rather than transactional) communications are what may help turn the initial actions people take with online petitions into power-based activities that create and sustain change over time. “The campaigns that are being smart about doing digital tools are succeeding because they’re giving people a way to communicate with each other directly,” said Sipp. Consider, for example, forums like Uber Forum and Rideshare Guy that connect dispersed gig economy workers with unmediated, direct, communication. Workplace communication faces at least two obstacles. One, dispersed staff often have no idea who their coworkers are. Online forums for Uber workers may help alleviate that. Second, and more significant, is that most online communication is tied to a personal account or online profile. The possibility of employer retaliation chills open communication, not just organizing, Enter Blind, an app with a simple but powerful focus: provide secure, anonymous communications between staff in a particular workplace. Blind was launched in South Korea and has recently begun finding its way into offices in the United States. Blind is setup so that the company itself does not know its users. Login emails, for instance, are hidden. This means that all content on Blind is user generated, just like CoWorker.org, and all actions—whether advocacy or information sharing—have to be user-driven. Currently, Blind is targeted at mostly white-collar workers, particularly in the tech industry. Even there they have found some challenges that apply to those in lower-wage service sector positions. In South Korea and Japan, Blind’s initial markets, staff tend to stay in the same company for longer, and that allowed for more engagement on bigger issues. In many parts of the world, including the U.S., people tend to move from job to job, which means that the target audience in any particular office, store, or factory, is ever-changing. With that in mind, Blind is adding functionality that will allow people to talk across companies – to create industry wide discussions. Similarly, CoWorker.org, though focused on workplaces, does not focus solely on workers. When someone signs an action, they get to self-report whether they are an employee of that company, or not, and then will receive different messaging from then on. This broadens the campaigns to a wider audience. Better connecting users with each other within a platform like CoWorker.org, or more advocacy tools in an app like Blind, may foster more powerful self-organizing. One idea that CoWorker.org is exploring in this vein is forming committees around particular petitions, as a way to ferment self-organization. “When you sign a campaign, you’ll be invited to join a leadership committee for that campaign. Since people self-select to be on that, it will create a community that could support the initial petition creator and support his or her role in the campaign.” This would also have the benefit of allowing for faster scale-up with less organizational resources. Workplaces-focused digital tools like CoWorker.org and Blind are creating new opportunities to reclaim the workers power that has been lost over the past decades, by allowing workers to communicate, self-organize, and deliver victory, on their own, through tools that allow them to directly engage on the issues they care about, at whatever levels of engagement they desire. Find out more about distributed, networked and open campaigns. Grassroots-led Campaigns: Lessons from the new frontier of grassroots-powered campaigning, is a 2014 report from the Mobilisation Lab examining the rapid growth and evolution of online campaign platforms. The 350.org and Hollaback! approach to distributed campaigning. how two global campaign organisations are empowering people to run campaigns while balancing top-down leadership and citizen-run actions. Trusting the People: A manifesto for open campaigning. 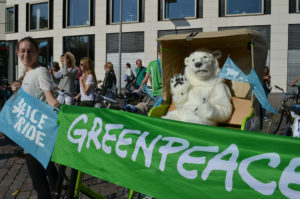 A Greenpeace campaigner reflects on opening up campaign strategy to both allies and targets. A similar open and collaborative approach may help build trust in workplace organizing.